CHARLOTTE, N.C., Jan. 09, 2017 (GLOBE NEWSWIRE) — SPX Corporation (NYSE:SPXC) today announced that Brian G. Mason, President of the company’s Transformer Solutions business, has been appointed as an Executive Officer of the company. 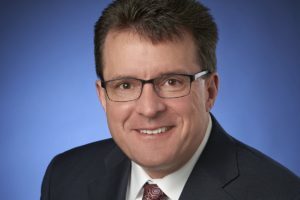 Mr. Mason joined SPX in his current role at the beginning of 2015 after spending over 14 years with Emerson Electric leading various technology-oriented businesses. He has also held various leadership roles at General Electric, Winegard, and General Cable. About SPX Corporation: Based in Charlotte, North Carolina, SPX Corporation is a leading supplier of highly engineered HVAC products, detection and measurement technologies and power equipment. With operations in about 20 countries, SPX Corporation had approximately $1.7 billion in annual revenue in 2015 and approximately 6,000 employees worldwide. SPX Corporation is listed on the New York Stock Exchange under the ticker symbol “SPXC.” For more information, please visit www.spx.com.